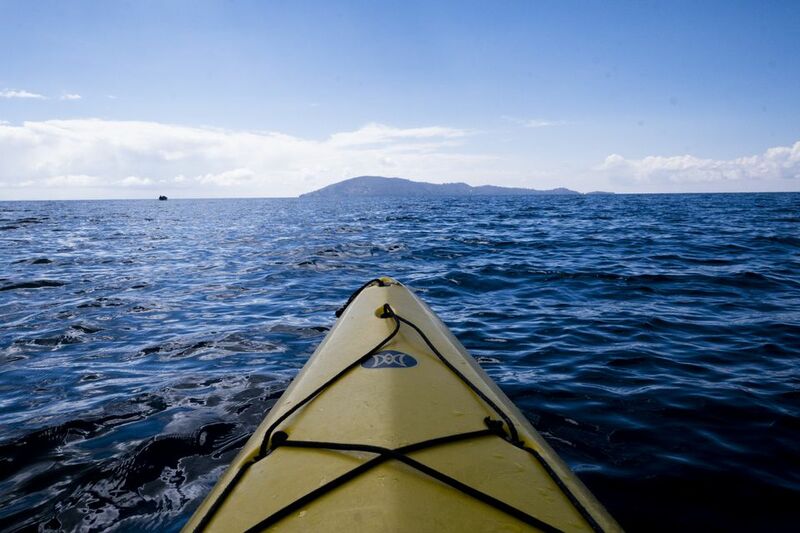 Looking at the photos from my kayaking trip on Lake Titicaca gives me that wow-feeling, bringing back a whole range of memories: the burning in my shoulders from the paddling; stopping to rest and looking at the shimmering lake all around me; drinking a beer with a master weaver on Isla Taquile; the magical landscapes of Lake Titicaca, which seems to grow more beautiful every time I see it. Thanks to the excellent Titikayak project – a joint venture between Explorandes (one of the best Inca Trail operators in Peru) and local communities – it’s now easy to arrange kayaking trips on Lake Titicaca. Better still, the Titikayak project helps sustain local communities and their centuries-old traditions, while having a very low impact on the environment. The standard Titikayak trips offered by Explorandes range from short half-day trips to three-day/two-night kayaking expeditions. All equipment is provided – including, of course, your one- or two-man sea kayak – as well as accommodation on the island(s) and all meals during the trip. Leaving in the early morning from Marlon's House Hostel in Puno, I made the scenic trip overland through part of the Titicaca National Reserve, passing through the traditional villages of Huata and Coata to a peninsular that juts out into the northern half of Lake Titicaca (you can see the peninsular on this map of Lake Titicaca; it begins near the village of Coata, just north of Puno). At the southern tip of this peninsular is the beautiful Quechua village of Llachon, home of the Titikayak project and its local leader Valentin Quispe Turpo. Llachon is also the embarkation point for kayaking trips on Lake Titicaca. The village is a beautiful destination in its own right and I could easily have spent a day here, but the kayaks were already prepped and ready to go so my guide and I headed down to the lakeside for a short briefing before setting off for Isla Taquile. Pushing off from the sandy shore at Llachon, we headed north over the crystal-clear water, passing trout farm cages moored just off the shore of the Capa Chica peninsular. Tiny houses dotted the slope of the peninsular, much of it covered in agricultural terraces that had been there since pre-Inca times. After maybe half an hour, we paddled past the final tip of land, entering the four miles of open water between the mainland spur and Isla Taquile. An hour or so after leaving Llachon, we stopped in the open water between the mainland and Isla Taquile. We had been paddling solidly and my shoulders were feeling the burn. This was only my second time in a kayak (my first was kayaking on Lake Piuray near Cusco), and my shoulder muscles were protesting from the prolonged paddling. But sitting there gently bobbing on Lake Titicaca’s frigid but tranquil waves, my tightening shoulders began to relax. Looking behind me, I could see the now distant peninsular. To the north, rising out of the blue water beneath white wisps of cloud, was Isla Amantaní, and to the southeast was our destination, Isla Taquile, looking not one bit closer than it did an hour ago. After a swig of water and half a bag of peanuts and raisins, we were ready to forge on. If we kept up the pace, we expected to reach Taquile in another hour. For the next hour, we paddled and paddled and Isla Taquile just sat there, never seeming to grow any bigger. Then we broke some unseen barrier and the island began to loom larger, with every stroke taking us notably closer to the shore. Soon I could see the smiling faces of men and women at the tiny port, all of them dressed in the unmistakable clothes of the islanders: the women in heavy black skirts and red shawls, the men in their white shirts and black waistcoats, with colorful knitted hats on their heads. Reaching the shore of Taquile, we pulled the kayak onto the beach. There to greet us was Alejandro Flores Huatta, the man whose guest house would be my home for the night. I was in his hands now (my guide from Llachon returned home), and as he lead me up the steeply winding path from the beach to the village above, it quickly became apparent that Señor Alejandro had quite a story to tell. One of the leading weavers on the island, Señor Alejandro had traveled the world as a young man. His talents as a traditional Titicaca weaver were noticed by the Smithsonian Institute, who brought him to the USA to help with an exhibition at the National Museum of the American Indian. He had also traveled extensively in Europe to represent the weavers of his tiny island – but he was happy to be back home on Taquile. I'll write more about Isla Taquile, Alejandro Flores Huatta, and his fantastic guest house in the future. For now, let me say that the Titikayak project is much more than just a kayaking trip. Spending a day and a night on Isla Taquile is a fascinating experience and an authentic look into a truly traditional and unique way of life. And with a man like Señor Alejandro there to guide you – and his wonderful family there to cook for you – the Titikayak project becomes something very special indeed. After a day and a night on Taquile, kayakers with Explorandes start the final day exploring the coastline of the island before setting off across the open water back to Llachon (where they have lunch), after which they return to Puno. With the help of the prevailing winds, the return leg across the lake can be quicker and easier than the previous day's paddle. But by this point, you’ll be sad to leave Taquile and the tranquility of the open water – so you probably won’t be in any rush whatsoever. The Titikayak experience is a real winner for anyone wanting to explore the Peruvian side of Lake Titicaca and its islands. It’s a perfect mix of adventure, culture and stunning scenery, all carried out with a low environmental impact and with the full support and engagement of traditional communities like those at Llachon and Taquile. I highly recommended a trip with Titikayak and Explorandes, even – or perhaps especially -- if you’ve never been kayaking before. For more details about Titikayak and kayaking on Lake Titicaca, visit the Explorandes website and watch this video featuring Valentin Quispe Turpo.